What is Last Mile Tracking? There have been many revolutionary changes over the last decade when it comes to logistics, one of which is giving sight when there was once none – namely, last mile tracking. What does last mile tracking mean? In a world where consumers are more empowered than ever – they can research products before buying, choose the lowest prices, and find the best shipping options – businesses must provide the kind of delivery experience that will keep customers coming back time and again. Uber changed the game. 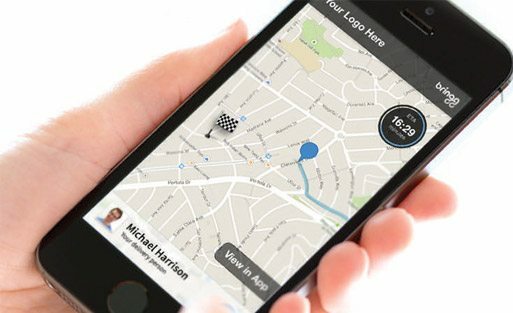 The concept of a real time map allowing customers to know exactly where a driver is and when they will arrive, as well as communicate with them and rate their experience has created an expectation across all industries. Last mile tracking for customers means that the template Uber set needs to be applied to all industries – all types of businesses that deliver goods and services directly to the end-customers. This applies to 3PLs/shipping companies, on-demand services and more. As companies like Uber and Amazon innovate in the way they manage their operations and communicate with customers, other businesses, in all industries, will need to follow. In this new age, businesses need not only to think of the consumer first, but they need to take stock of what they are doing internally – operationally, in order to make sure there is full visibility throughout the supply chain, especially during the last mile. Based on research, the number one driver of innovation cited by logistics professionals was visibility. Last mile tracking for internal visibility is a crucial aspect of creating a customer centric supply chain. With these functionalities in place, businesses can have a full view of their supply chain – including last mile visibility.